Home makemoney How to earn more money using Rs.1000 ? How to earn more money using Rs.1000 ? I must say that Rs. 1000 is too small an investment to be made in a financial market. Although Rs. 1000 can multiply using complex derivative instruments, I would suggest you utilize the money to trade in basic, physical commodities. A rudimentary idea would be: Tomatoes. Purchase as many tomatoes you can from the wholesale market and distribute them in the retail market at a profit. I believe the arbitrage opportunity (riskless profit arising from price differences in two different markets) here is quite good. 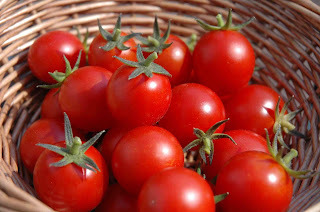 The wholesale price of tomatoes in India is INR 15-20 per kg. At the same time, retail price is INR 40 per kg. Assuming wholesale price of INR 20 and logistics expense of Rs. 100 (taxi from the wholesale market to the retail market), you can buy 45 kg tomatoes in INR 900. Given that you shall take 2 days to sell off all your stock, you made 90% margin in two days, i.e, 16200% when annualized. Compare this to New York Stock Exchange's Composite Index, which gave only 4.22% in FY 2014.